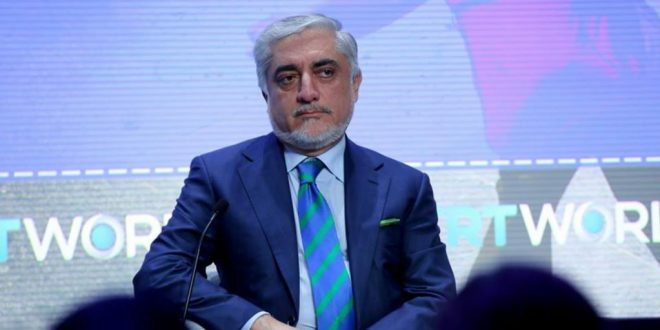 KABUL: Chief Executive, Abdullah Abdullah, rejected attending the Consultative Loya Jirga set for April 29th to discuss ways for peace, saying that not only him but also his electoral team would not attend the jirga. Abdullah is one of runners for this year’s presidential elections and enjoys powerful figures such Karim Khalili and Abdul Rashid Dostum as his backers. “We in the Stability and Convergence Team were not consulted to call the jirga, neither in level of political parties and figures nor in government. We see no justifiable reasons for the jirga either,” Abdullah said on Sunday in a statement, referring to the team’s name. Bashir Ahmad Tah Yench, an ally of Abdullah in the upcoming presidential elections accused President Ashraf Ghani of misusing the Loya Jirga for his personal campaign in the elections. “This is a matter of concern for us that unfortunately President Ghani makes efforts to use the jirga as his campaign for election. His claims that he was authorized by the people to call the jirga, will challenge the peace efforts,” said Tah Yench. 2,500 representatives from 34 provinces are invited to attend the jirga and provide the government with their consults over peace process. Ghani’s Spokesman, Shah Hossain Mortazawi said that government would later comment in this regard. Political analysts interpret Abdullah’s stance as the climax of differences in the leadership of the national unity government. “This stance is a reaction from an electoral team and besides that, is an indicator of distrust space and differences that has been existed in the unity government and is now at its climax,” said Nasrollah Stanekzai, political sciences professor at Kabul University.